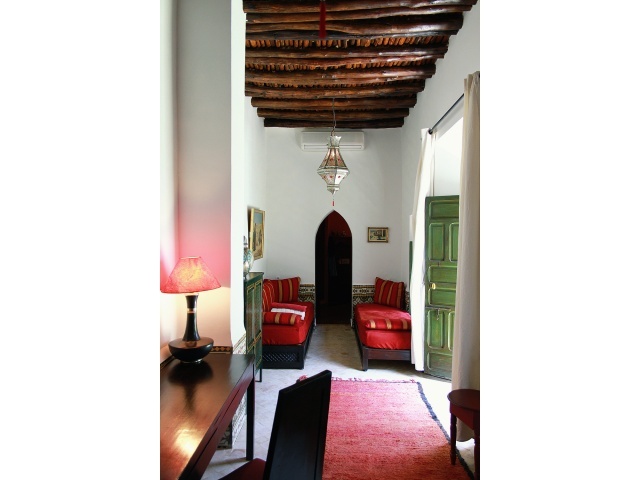 Riad Al Karama is a typically Moroccan House in a district remained authentic. 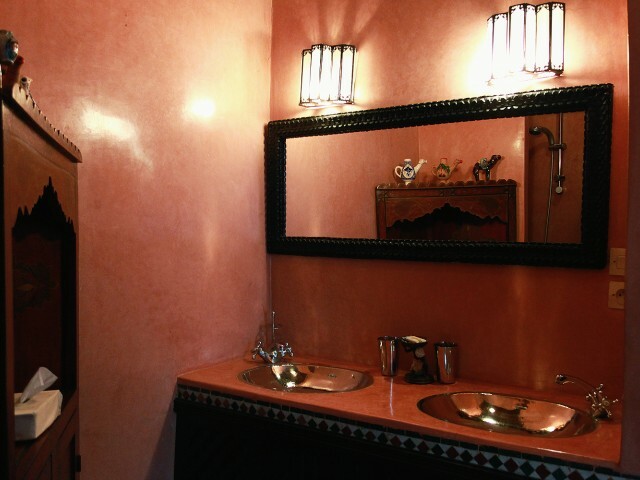 With two steps of the Souks, famous Jemaa-el-Fna Place and principal monuments, we accomodate you in this old Marrakchie residence, transformed into House d' hosts, who mixes tradition and Western comfort. Four rooms and a continuation s' open on a patio shaded and rocked by the refreshing murmur d' a fountain. Since the released terrace, you can admire the treasures of Marrakech, the minaret of Koutobia and guess the snow-covered mountains of l' Atlas. 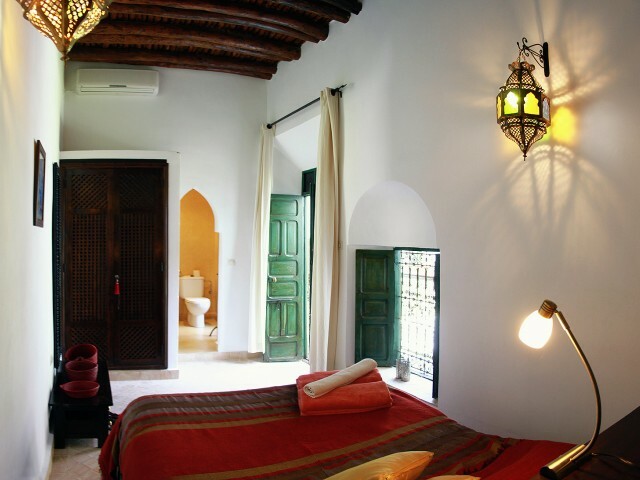 Double room, inspired of the pure Moroccan tradition, opening on the patio, reads double, bathroom in tadellakt, with private shower and toilets. 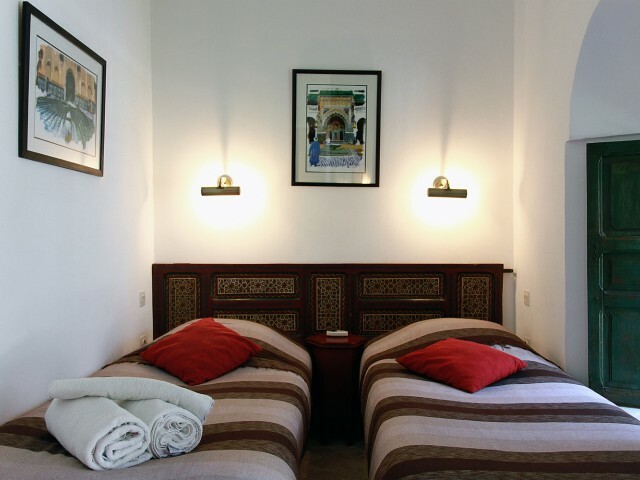 Double room, with l' stage, with sight on the patio, with the Moroccan traditional style, twin beds, air-conditioning, bathroom in tadellakt, with private shower and toilets. 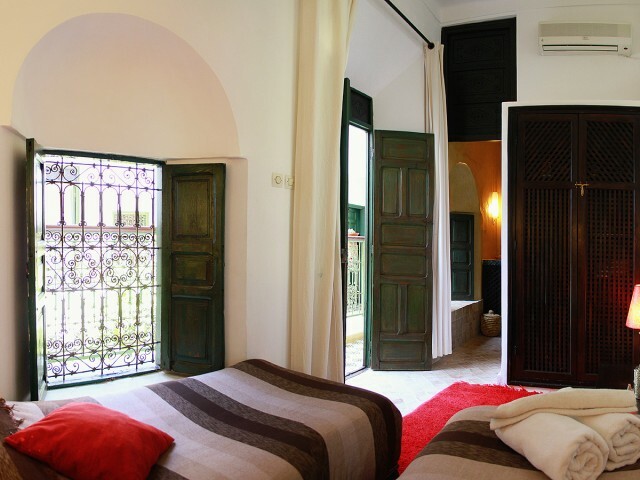 Room doubles with l' stage, with the Moroccan colors, with sight on the patio, reads double, air-conditioning, bathroom in tadellakt, with private shower and toilets. 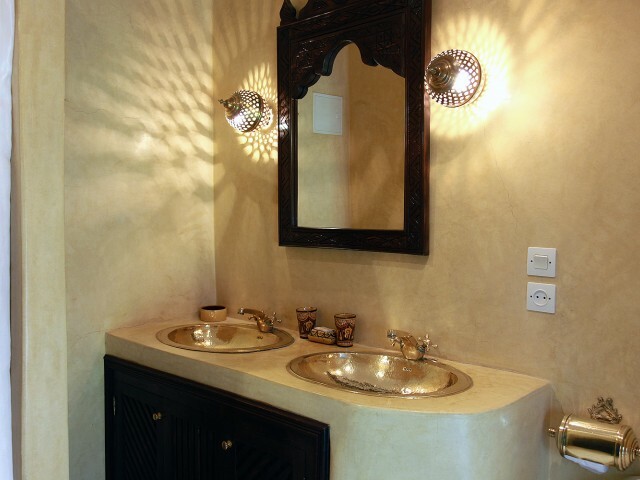 The continuation of the & quot; Thousand and one Nuits& quot; with Eastern decoration, with air-conditioning, reads double, bathroom in tadellakt, with private shower and toilets. 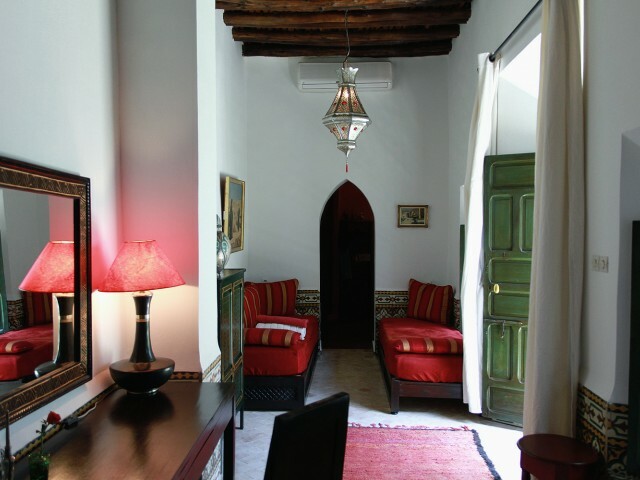 It has two benches and can thus accomodate jusqu' with 4 people.It is with l' stage and gives directly in the patio of Riad. 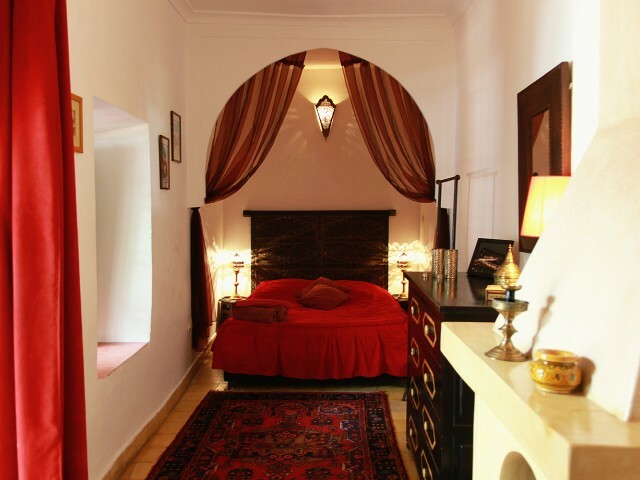 Airport transfer/Riad (15 euros/transfer, free as from 3 nights consecutive). To lunch and dine assured by our Moroccan cooker, on request: 15 and 20 euros (except drink). Organization D ' excursions: Valley of L ' Ourika and discovered cascades, Essaouira, Ouarzazate, Voyage in Berber country in the valley D ' Asni, Imlil and the Toubkal Mount, Bivouac in the desert. 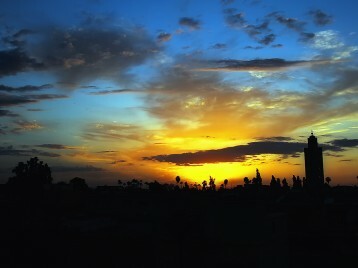 Reservations near various Golfs of Marrakech, and Riad transfer/Golfs. Reads baby available on request.